Manage, Measure, Monitor and Evidence Sport and Physical Activity Programmes. Kinetic Insight Pro is a revolutionary solution that has been specifically designed to allow deliverers of sport and physical activity programmes to meticulously manage, measure, monitor and evidence every element of the programmes that they deliver, and capture participation data in a manner that is fast, simple, and not intrusive to session delivery. From the origins of the solution as a bespoke development created in partnership with Manchester City Council, Kinetic Insight Pro is now the industry leading solution for sport and physical activity programme management and participation data capture that is used by many of the largest public sector organisations across the country. Managing sport and physical activity programmes is a difficult task that poses significant challenges for organisations of any size. The Kinetic Insight Pro Web Portal was developed to alleviate these challenges and empower programme administrators by allowing them to control and oversee every aspect of service delivery via a simple and intuitive online interface. Create, control and manage all programmes, campaigns, sessions, members, instructors, venues, timetables, funding streams, communications, KPIs, bookings, and much, much more. Capturing accurate participation data is of paramount importance when delivering sport and physical activity sessions. This data provides a crucial understanding of participant demographics as well as insight that helps to make informed choices on all elements of service delivery. The problem is that traditional forms of data collection have always been far too intrusive to the delivery of the session, which frustrates both the participant and the deliverer of the activity. The Kinetic Insight Pro Deliverer Applications eliminate these frustrations by providing a data collection tool that utilises NFC technology to collect data in a manner that is fast, simple to understand, and doesn’t impact on the delivery of the session. All participants are provided with a unique NFC membership card or key fob that allows them to arrive at any physical activity session and simply touch the card or fob onto a tablet computer to register their attendance. That’s it. No forms to fill in, and no time wasting. All participation data that is collected during a session can be synchronised securely with our database after a session has ended so that you can start to generate reports on this data immediately via the Kinetic Insight Pro Web Portal. 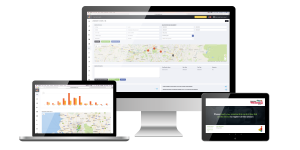 The Kinetic Insight Pro solution is delivered via a web based administrator portal and an android mobile and tablet application. We're looking to engage with potential new local authority clients and provide a no obligation demonstration of our solution. Kinetic Insight Pro is primarily utilised Local Authorities, however, work is currently underway to expand the scope of our solution to include National Governing Bodies and independent deliverers of sport and physical activity. Kinetic Insight Pro doesn’t rely on the data of any third party organisation in order to function. Participant profiles are generated by users. Kinetic Insight Pro creates a significant amount of data in relation to the sport and physical activity sessions that it manages, and the individuals that participate in these sessions. Every instance of participation at a sport or physical activity session is linked to a named individual and their full demographic profile. This allows us to generate a myriad of real time reports and exports in relation to the age, gender, ethnicity, disability, and geographic ward of every participant. In addition, Kinetic Insight Pro allows us to answer questions in relation to a participant's frequency of attendance, types of activity participated in, number of venues visited, average distance travelled to participate in a session and much, much more. We work with some of the largest public sector organisations across the UK including Manchester City Council, Birmingham City Council, Newcastle City Council, Glasgow City Council, and Dundee City Council. 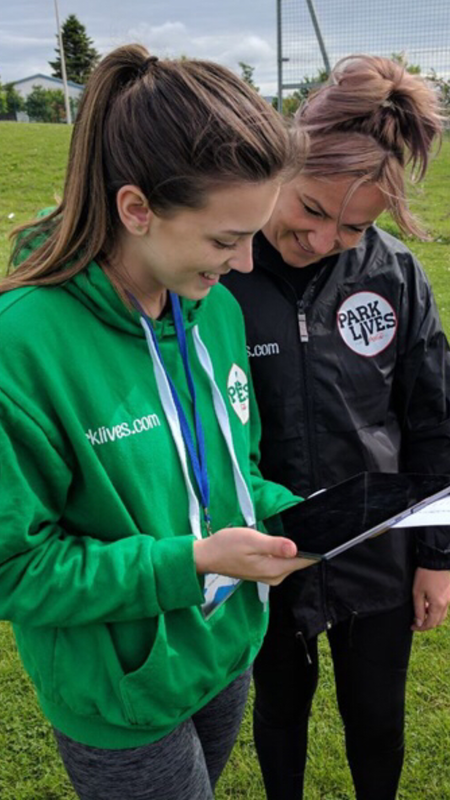 Our solutions have been used by these organisations to revolutionise their session management and participation data collection for physical activity programmes including This Girl Can, ParkLives and Community Games. Kinetic Insight Pro doesn’t currently integrate with any third party solutions, however, we are in the process of discussing a potential collaboration with imin. This collaboration would see the imin Physical Activity Availability API used to complement the comprehensive physical activity session data that we generate on behalf of our local authority partners to create new, unified applications and web services. We are a solutions focussed organisation that pride ourselves on creating innovative and industry leading solutions across the sport and physical activity sector. Whether you're looking to utilise one of our existing solutions, or talk to us about about how we can support you in developing a new concept into a fully functional solution, we have the skills and experience to deliver.